The 2013 DealMakers Monthly Global Awards have recognised us as the South African Trade and Customs Law Firm of the Year. The 2013 DealMakers Monthly Global Awards recognize a select number of leading professional firms from across the globe for their individual areas of specialization within their geographical location. We are delighted to announce that Rian Geldenhuys has been recognised by Lawyer Monthly Legal Awards as the South African International Trade Lawyer for the year 2013. We are delighted to announce that we have been recongised at the South African Trade and Customs Law Firm of the year for 2012. Trade Law Chambers is delighted to announce that it has been recognised as the Cross Border Law Firm of the Year in South Africa for 2013. This award was received in the Finance Monthly Law Awards of 2013. The Finance Monthly Law Awards recognize law firms and legal professionals who have outperformed their peers through dedication to client service, innovation and industry knowledge. In March 2013 the Finance Monthly research team began contacting its corporate readership to glean direct feedback regarding their experiences and the services received by law firms used. In parallel we asked the readership of Finance Monthly to participate in an online voting process and nominate their preferred law firm for 2013. 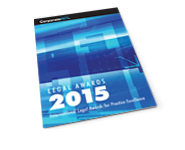 This process has led to a celebrated list of winners across the key practice areas in law. Each winner has demonstrated client care, innovation and above all, each firm has delivered results for their respective clients. Finance Monthly is a global publication providing news, analysis and features on all the latest headlines within the financial and legal sectors. Finance Monthly provides expert analysis on the ever changing financial and corporate worlds on a month by month basis. We are delighted to announce that Trade Law Chambers is a winner in the Finance Monthly Global Awards 2013. After a rigorous selection and judging process Trade Law Chambers was selected as the South African International Trade Law Firm of the Year. This award is further affirmation of our lawyers’ unparalleled experience in the field of international trade law having won similar awards in the recent past. We strive to excel in our chosen field of specialisation and this award will further fuel our pursuit of excellence. Trade Law Chambers has been selected as the winner of the South African Trade and Customs law firm of the year in the Lawyers World Global Awards for 2013. The Lawyers World Global Awards 2013 recognize a select number of leading professional firms, across the globe, for their individual areas of specialization, within their geographical location. This latest award again recognises our professionals' expertise and drive to remain at the forefront of the practice of international trade law. The DealMakers Country Awards 2013 recognize a select number of leading professional firms, across the globe, for their individual areas of specialization, within their geographical location. 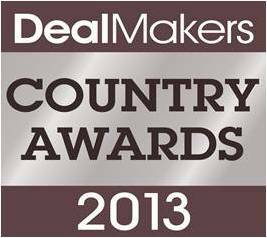 The DealMakers Country Awards 2013 are presented across all geographical locations that the Monthly Magazine penetrates. The DealMakers Country Awards 2013 recognizes and salutes the organizations & advisers that have performed to exceptional levels during the most difficult period that the global economy has experienced for decades. We are delighted to announce that Trade Law Chambers has been recognized as the South African Trade & Customs Law Firm of the Year in the DealMakers Country Awards 2013. Yesterday marked the highly anticipated publication of the 2012 winners of the Acquisition International M&A Awards. In partnership with Preqin (Sponsor) and DealGate (Media Partner), the publication marks the culmination of a 6 month search for the very best M&A teams in the world. Kathryn Turner, Chief Coordinator, of the Acquisition International M&A Awards, underlined the core strengths of the winners: “During times of economic uncertainty many fail, however the Acquisition International M&A winners have defeated the odds and come into their own. The talent, ingenuity and down-right hard work of all of our winners, in what is still a very competitive market, is living proof that good business can still be done”. Kathryn went on to say: “I would also like to take this opportunity to acknowledge the support provided by Preqin and DealGate, both of whom by way of their promotional activity, helped us to achieve a record number of votes, making this year’s AI winners the most representative in the industry”. The Acquisition International M&A winners have rallied well from boom to bust, they proved resilient and are superb examples of excellence. Key to their success has been, more than ever, the ability to adapt and act creatively in business and their exceptional performance is expected to continue into next year and beyond. Trade Law Chambers has been awarded the 2012 Acquisition International M&A Award South African Chambers of the Year. The ACQ Global Awards are an annual awards program celebrating the best industry practitioners working across the world. Recognizing the experience and skills that many of the developed nations have, the ACQ Global Awards acknowledges how important it is to be recognized as a leader in our field of expertise. Following the resounding success of the ACQ Finance Magazine Global Awards in 2011 and recognizing the continued importance of industry expertise, the magazine is proud to announce the results of its ACQ Finance Magazine Global Awards 2012. Awards are presented across all geographical regions that ACQ Finance Magazine penetrates and are voted for by the industry itself. ACQ Finance Magazine recognise and salute the organisations & advisers that have performed to exceptional levels during the most difficult period that the global economy has experienced for decades. This marks Trade Law Chamber's second award for 2012 recognising its lawyers' expertise. Trade Law Chambers was the category winner for South Africa – Law Chambers of the Year. The Finance Monthly Law Awards 2012 results have just been released. We are delighted to announce that Trade Law Chambers has been crowned the South African Law Firm for 2012. The Finance Monthly Law Awards recognize law firms and legal professionals who have outperformed their peers through dedication to client service and work undertaken. This quantitative and qualitative approach ensures the Finance Monthly Law Awards are based on performance. This is Trade Law Chambers’ third award for 2012 recognizing our legal expertise and our clients’ satisfaction. We are delighted to inform you that Trade Law Chambers has won the Acquisition International 2012 legal award - South African Trade & Customs Law Firm of the Year. Acquisition International is the leading industry title and this year saw record votes cast by Acquisition International’s own subscribers and the international legal community recognising law firms’ achievements throughout the course of 2011 and 2012. This award reaffirms our unrivalled expertise as international trade lawyers in South Africa. This is Trade Law Chambers’ fourth award for 2012 recognising our legal expertise and our clients’ satisfaction. Trade Law Chambers has again won an award recognising our expertise in international trade law.The lastest award has been achieved in the Lawyers World Annual Awards for 2013. Trade Law Chambers has been voted as the Trade & Customs Law Firm of the Year 2013 - South Africa. The awards recognise the outstanding achievements of individuals and companies within the legal sector, encompassing everything from barristers and boutique firms to global players. Specialities range from energy and immigration to antitrust and intellectual property. Acquisition International’s Legal Awards identify and honour success, innovation and ethics across international legal and business communities. Trade Law Chambers has been awarded an award in CorporateINTL 2015 Legal Awards. Trade Law Chambers has been voted as the Boutique International Trade Law Firm of the Year in South Africa.